Jobs growth in the US returned in March after a lacklustre growth in February but it hasn’t stop the US President from heaping more pressure on the US Federal Reserve. After stalling in February, jobs growth resumed in March with the US economy adding a further 196,000 jobs, slightly ahead of estimates. The unemployment rate continues to hover just below 4% while wage growth remain in the mid to low 3% range. The jobs data remains consistent with the Fed’s current position, where they have paused to assess the incoming data, rather that marching on towards a more normal policy setting. That hasn’t stopped the US President in applying more pressure on the Fed. Trump is clearly frustrated that the Fed’s normalisation of its monetary policy setting took some of the wind out of his tax cut induced stimulus and its impact on markets. 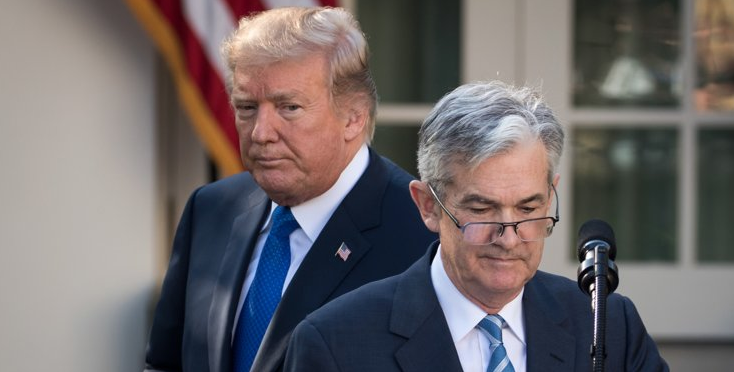 After already calling for the Fed to cut rates, Trump is now suggesting that the Fed should not only abandon the normalisation of its balance sheet but start quantitative easing. It is another clear attempt to goose stock markets higher as he uses the level of the stock market as a barometer of his success. That brings us to the week ahead where there will be plenty of domestic data and events as we eagerly await to see when the Federal Election will be called. Today we get the latest on jobs ads which is key given the importance of the employment outlook. It will be followed by the monthly new lending data tomorrow before the latest consumer sentiment report on Wednesday. It will also be a busy week for the RBA. Deputy Governor Guy Debelle will be speaking twice this week. The focus will be on his first appearance at the American Chamber of Commerce in Australia event in Adelaide where his speech will be titled The State of the Economy.